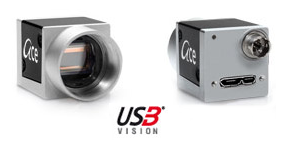 The ace series of USB3 Vision cameras offer fantastic value for very challenging applications (e.g. microscopy, medical technology, transport technology). This model contains a PYTHON 500 CMOS sensor from ON Semiconductor. The 1/3.6" sensor contains 800 x 600 pixels, and delivers up to 510 frames per second at full resolution. 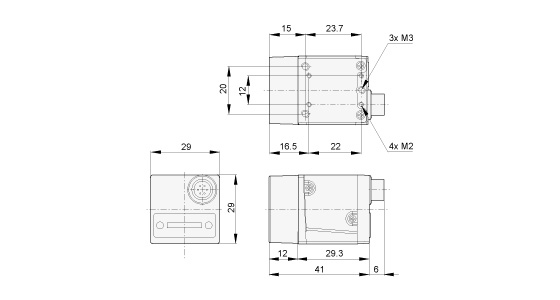 With a compact 29 x 29 x 29 mm housing, this camera is even smaller than Basler's GigE models.